Summer and fall were in the Equinox. Clouds and sunshine wrestled for an upper hand above. I drove along Route 6, turned off at Galeton, Pennsylvania and traversed seven miles of rough graveled road, closed to Thru Traffic. (Ask not for whom the road is being prepared; it’s not for you or me). Beyond concerns about the hydro-fracking trade, I saw a canoe with fishermen at the far end of Lyman Lake, just short of where the stream comes in. 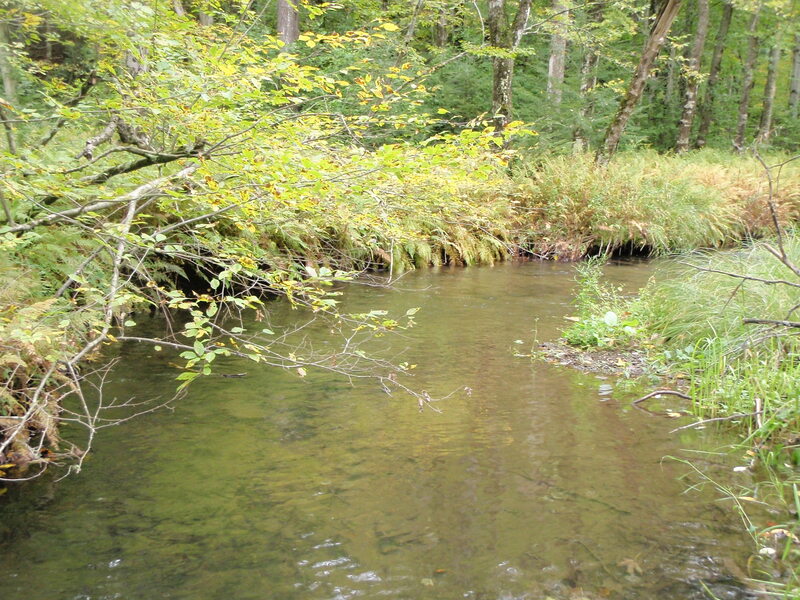 Lyman Run is a fly-fishing-only water. 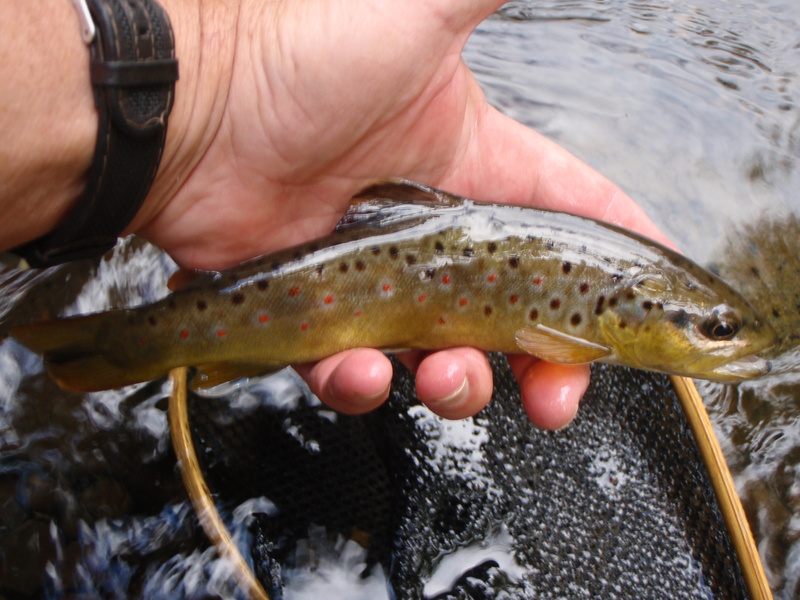 Its designation as a state “wild brook trout enhancement area” requires that brookies taken on the fly be released unharmed [The regs for Lyman Run have been changed. Please note, as indicated by A.K.’s comment below]. The run was flowing a bit off-color from a day-before rain. Things were looking good for a first fall day of fishing. Here was wildness with accessibility (a lightly traveled road lay parallel a short distance away). 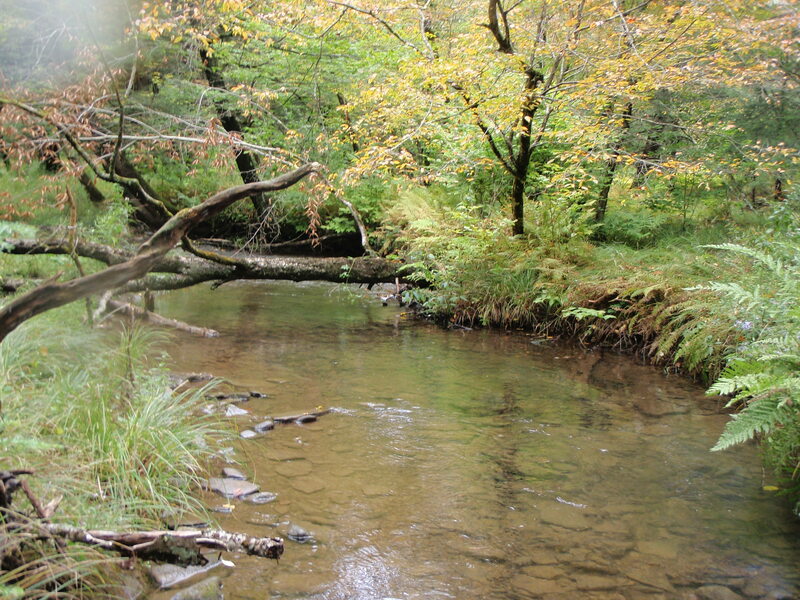 Here were pools and riffles, log obstructions and undercut banks. Summer’s green foliage was brightening into red and yellow and orange. I bumped into turkeys and saw a mink race across the stream on a fallen tree. I thought of seeing other wild inhabitants of the run, of bobcats, fishers and bears, but that was wishful thinking. Here the Susquehannock Trail System crossed the valley and connected mountain to mountain. I remembered a night many years ago when, upstream in the wilds of Splash Dam Hollow, I spent a miserable night beneath the stars with just a sleeping bag and a cloud of ravenous mosquitoes. Today was far more pleasant: the wild browns and brook trout were eager to nab a bead-head nymph and (especially) an Elkhair Caddis drifted on top. I had a glass rod with me, just 6-feet long. Designed to cast a 5/6 line, the rod laid out a 5-weight Cortland Sylk with ease. The rod and line seemed wonderful for a mountain stream. I could back-cast with a minimum of hang-ups (oh, there’s always some, but the cursing was controlled and didn’t seem to bother the birds or chipmunks). The roll-casts were direct and effortless. I had a vision of perfect balance here. Equinox, with man and nature, land and water, earth and sky. Illusion perhaps, but good for contemplation. The solitude seemed so flawless that I longed for an angling friend to share it with. Always interested in the ratio of wild browns to brook trout, I counted fish that came to hand. Four browns and 13 brooks. If not a perfect ratio, each was welcome, nonetheless. They rang a fine hello to autumn. 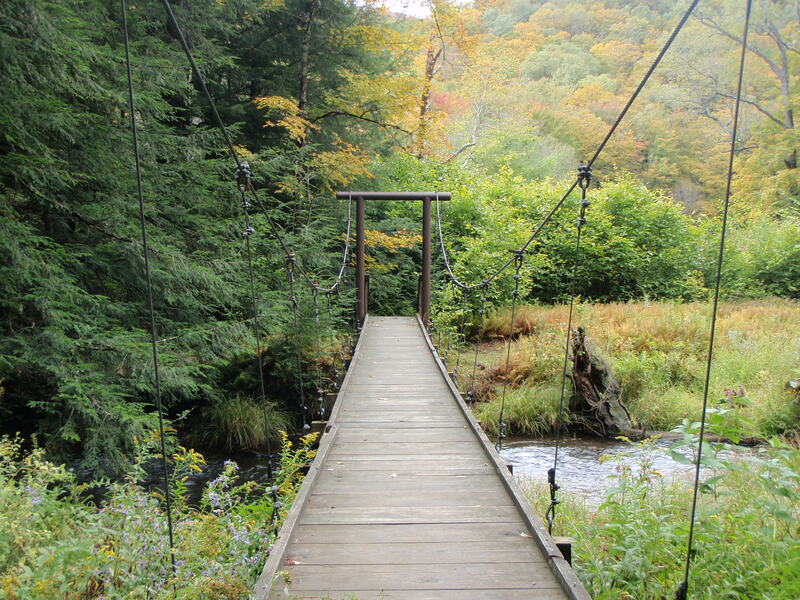 This entry was posted in Uncategorized and tagged Autumn Equinox, fall fly-fishing, Galeton, glass fly rods, Lyman Run, natural balances, PA, Susquehannock Trail, wild trout. Bookmark the permalink. Love the colors on those fish. Looks like everyone is dressing for fall. Leigh, here’s hoping that you also get to dress for fall while standing at a colorful stream. 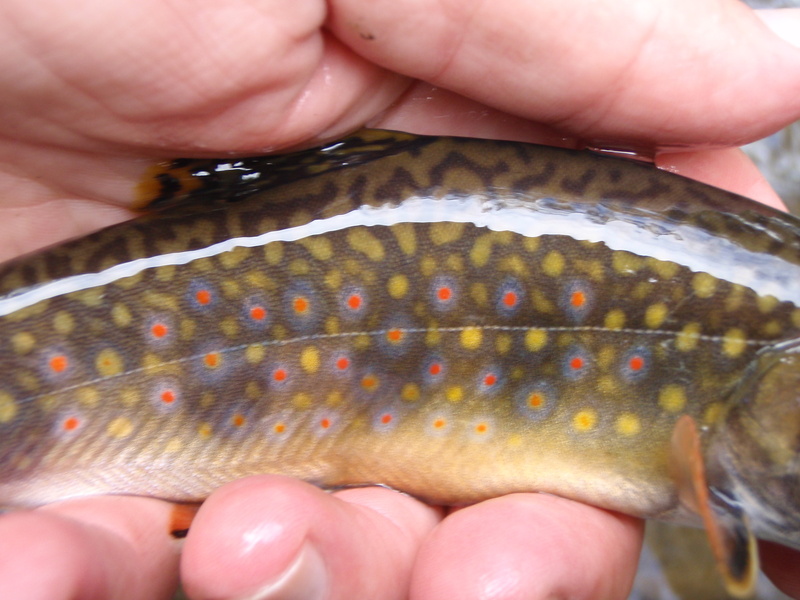 The colors on the brook trout are amazing! One of my dream trips is a combination backpacking/fly fishing trip up in the Northeast and/or back out to the Rockies. For now, I’m fishing vicariously through your posts! The colors are brightening as we write, Jim, the foliage on the trees, the sides of brook trout as they go to the spawn. It’s great to have such a dream trip in mind. It keeps me going, too. Looks like autumn is a coming to your neck oft the woods. It’s here, Keith, and how are the forests out your way? Lots of conifers, sure, but colors as well? Great post, Walt! Imagine my delight when I opened my inbox to find news of a RR report ’bout Lyman Run. Lyman is another one of the “out east” destinations I’ve always wanted to fish, but thus far haven’t got around to. I’ve got to get it in gear! Bob, Lyman is a lot of fun for the small stream enthusiast. Over the last 25 years I’ve fished it a number of times but usually on the lower end. I want to go higher on it someday. Let me know when you want to make the tour! Thanks Mark. Am wondering what part of PA was your home. Mike Sepelak just put up a post of a tiny little creek and a few fish caught from it. Told him and I’ll tell you, I can’t believe there’s fish living in those little things. I don’t think creek chubs in the little creeks around here compare much. Lyman Run is not a fly fishing only stream. It used to be, but switched regulations. 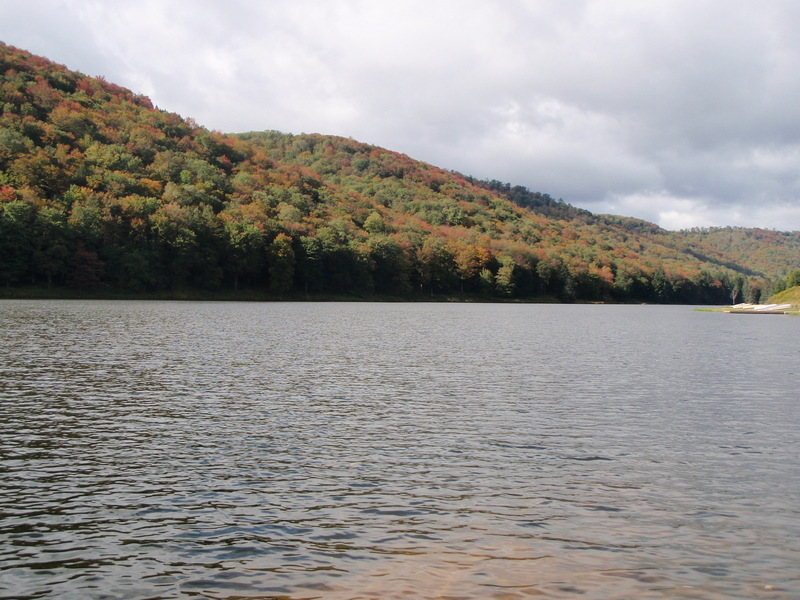 It was Selective Harvest, all tackle, then changed to Brook Trout Enhancement regulations, but is currently under statewide general regulations. 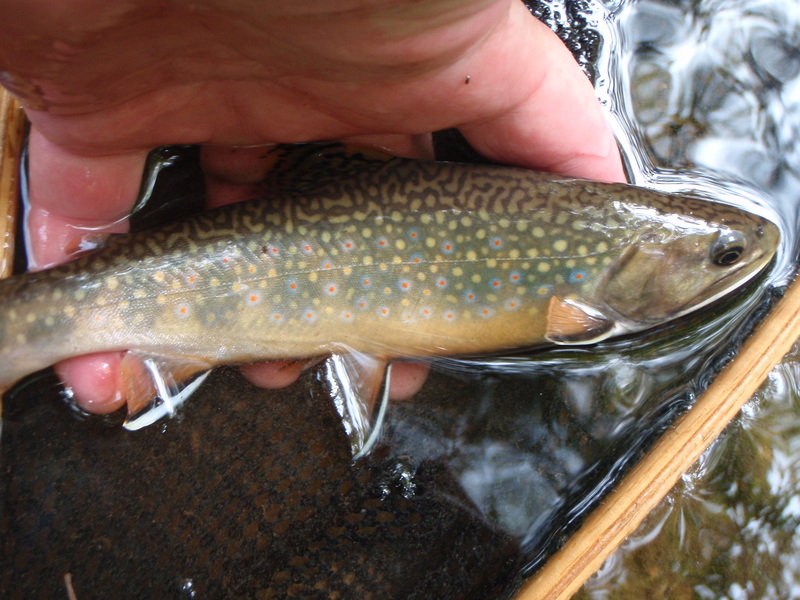 In 2013, when this article was published, it was under Brook Trout Enhancement regulations (all tackle, general regulations for all species except brook trout. Brook trout must be immediately released. Thanks for the update, AK. I should have been aware of regulations being changed on Lyman Run. As a New Yorker who always practices C&R, I sometimes lose track of Pennsylvania fishing regs like this. I will note the change in the article.